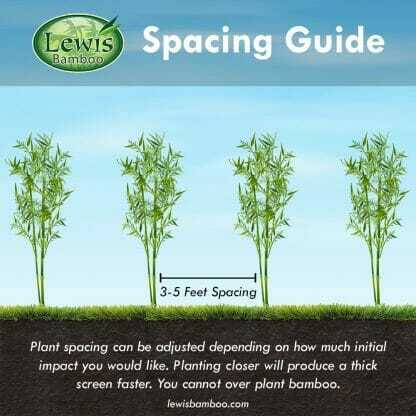 A great screening bamboo for cold climates. Canes are green and very straight at maturity. About 10% of the canes will have a zigzag in the lower portions of the cane. 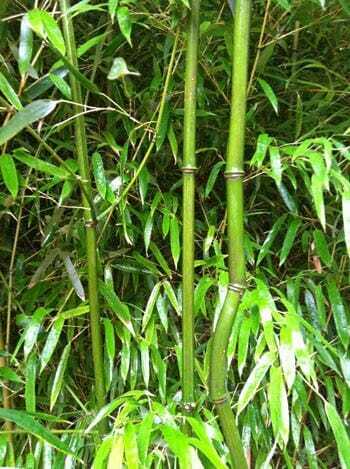 Phyllostachys Aureosulcata ‘Alata’ is very similar to Aureosulcata ‘Yellow Groove’ but with a solid green cane.It also have zig zags in about 10% of the canes. This makes for an interesting visual appearance. The curves typically occur in the lower portions of the canes. The culm (cane) sheaths are pale green with creamy streaks. Auricles and oral setae are present on mid culm. Can be absent on lower and upper portions of the culms. In USDA Climate Zone 7 expect mature size canes to be over 30 feet. in height. 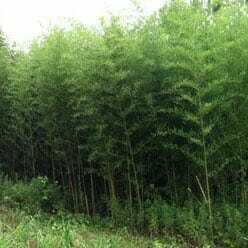 In USDA Climate Zone 6 expect mature size canes to be 15 feet in height. 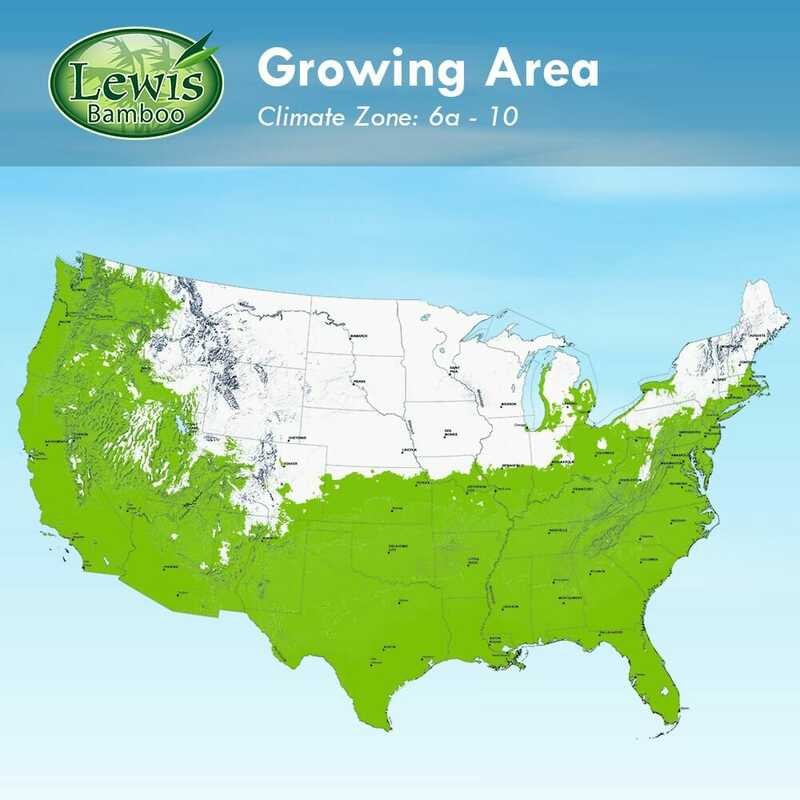 In USDA Climate Zone 5 expect mature size canes to be 8 to 15 feet in height. Phyllostachys Aureosulcata ‘Alata’ has a very vertical appearance with slightly up swept limbs. 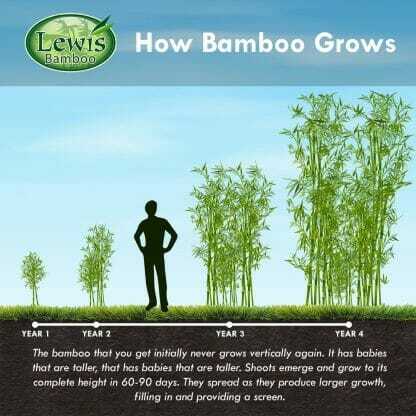 It is a very straight bamboo with a low tendency to weep. This bamboo is also known as Phyllostachys Aureosulcata ‘Pekinensis’. ‘Alata’ can make a very dense and effective screen and it cold hardiness allow it to grow almost anywhere in the United States.